Showing 1 - 20 of 43 results. A cleared property on Seabreeze Close, Bexley. 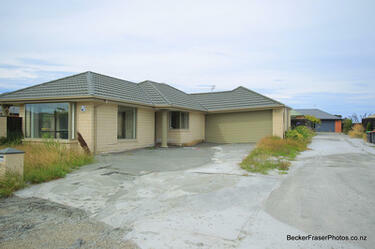 Photograph captioned by BeckerFraserPhotos, "Red-zoned property in 2 Waireka Lane, off Seabreeze Close, Bexley, where the floor shows how much it has moved". 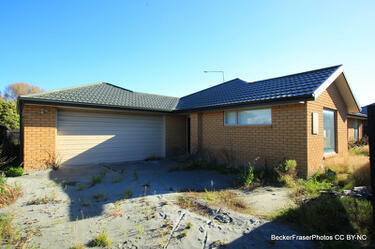 Photograph captioned by BeckerFraserPhotos, "Red-zoned property at 26 Seabreeze Close, Bexley". 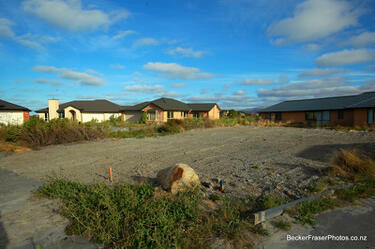 Photograph captioned by BeckerFraserPhotos, "Red-zoned property 30 Seabreeze Close, Bexley". 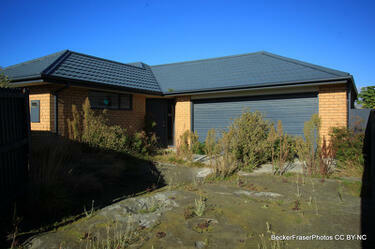 Photograph captioned by BeckerFraserPhotos, "Red-zoned property at 8 Seabreeze Close, Bexley". 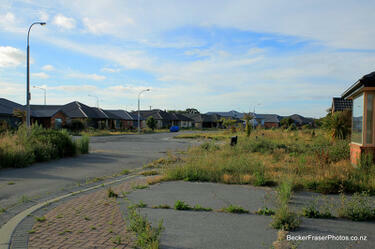 Weeds are growing through cracks in the pavement outside abandoned properties on Seabreeze Close, Bexley. Over-grown weeds at an abandoned section on Waireka Lane, Bexley. 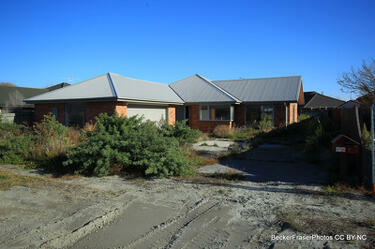 Liquefaction is still evident at this abandoned residential section on Seabreeze Close, Bexley. 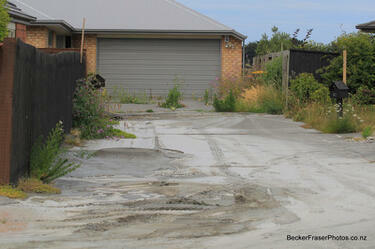 A photograph captioned by BeckerFraserPhotos, "A section of a driveway at Seabreeze Close in Bexley is covered in liquefaction". 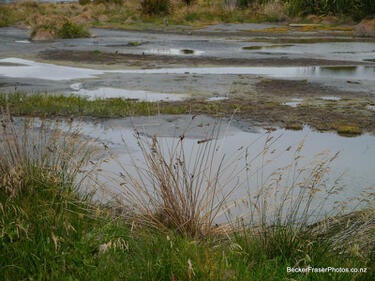 A photograph captioned by BeckerFraserPhotos, "The estuary situated behind Seabreeze Close in Bexley. 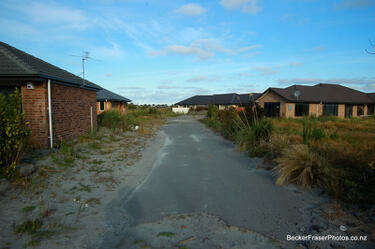 The estuary shows signs of liquefaction with a large number of sand volcanoes appearing". A photograph captioned by BeckerFraserPhotos, "A driveway leading to a house at Seabreeze Close in Bexley is covered in liquefaction. 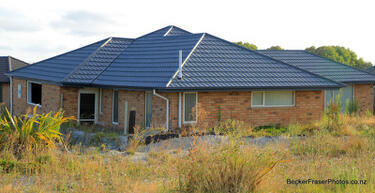 Weeds have grown through the cracks in the driveway". 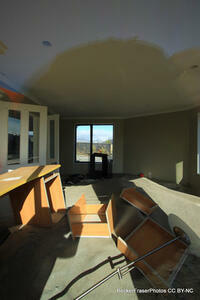 A photograph captioned by BeckerFraserPhotos, "A damaged residential property at Seabreeze Close in Bexley. 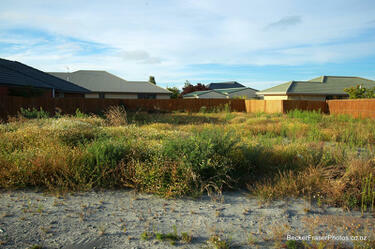 The yard is covered with weeds and silt from liquefaction". 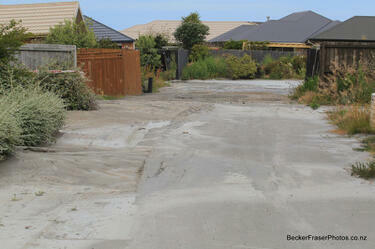 Liquefaction covers the driveway of these residential properties on Seabreeze Close, Bexley. 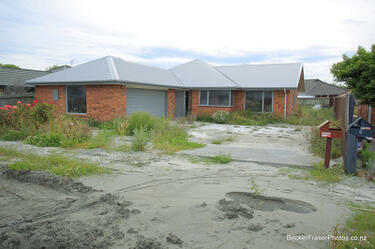 Mounds of liquefaction at an abandoned property on Waireka Lane, Bexley. 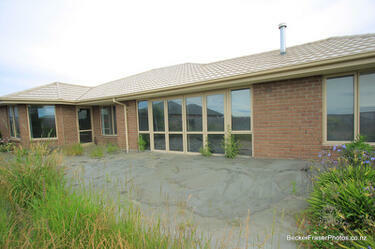 A photograph of liquefaction on a residential property at 23 Seabreeze Close in Bexley. 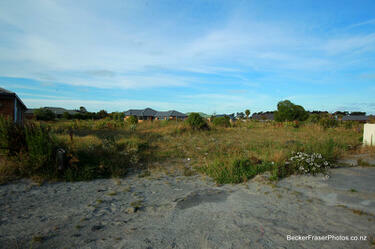 A photograph captioned by BeckerFraserPhotos, "A view of the estuary which is just behind Seabreeze Close, Bexley. 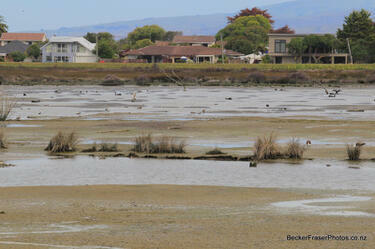 The estuary shows signs of liquefaction with a large number of sand volcanoes appearing". 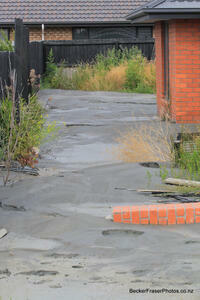 A photograph of liquefaction on a residential property on Seabreeze Close in Bexley. 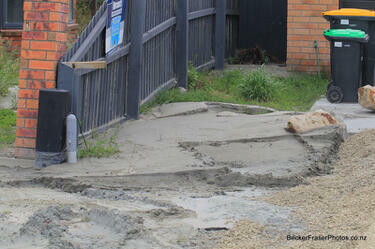 A photograph captioned by BeckerFraserPhotos, "Liquefaction covers a driveway at Seabreeze Close in Bexley". 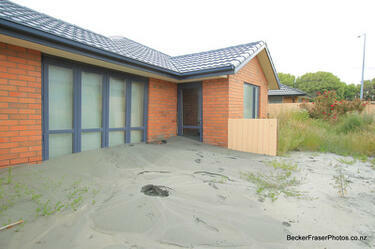 A photograph of liquefaction on a residential property at 27 Seabreeze Close in Bexley.